A tour recommended for the first time traveler to Japan where you can visit the most popular 3 cities Tokyo, Osaka and Kyoto. It is the basic free plan so you can plan your stay as your wish. Saiyu Japan, our head office in Japan will support you for your travel arrangements in japan! Observe the adorable snow monkey in Nagano Jigokudani! Only group of monkeys in the world to soaking in Hot Water Spring! 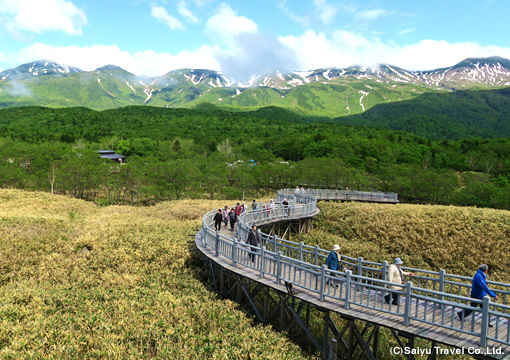 The macaques in Nagano area are the only groups of monkeys in the world known to be enjoying natural hot water spring. Cute child monkeys, monkey families enjoying hot spring and sleeping by the side of the hot spring is really adorable. 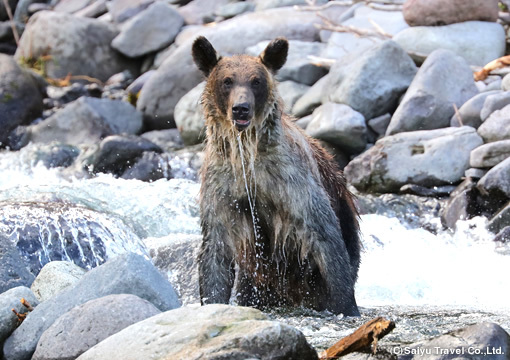 -Reach the top of Highest Mountain in Japan -1night 2days Climbing tour -Guided by English Speaking professional climbing guide -Observe the sunrise from top of MT. Enjoy the Flowers of Rebun Island and visit The Heaven of Sea Birds – Teurijima Island. Recommended for those who are in Extinct wildlife & Bird Photography in winter. 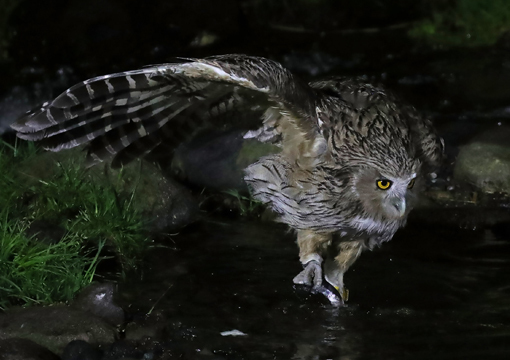 Search for Ezo-Ural Owl in the forest. Enjoy the Seafood of Hokkaido. Ice Smelt Fishing experience and hot Tempura ! Ice walking in Notsuke Peninsula and Hot Spring Experience. 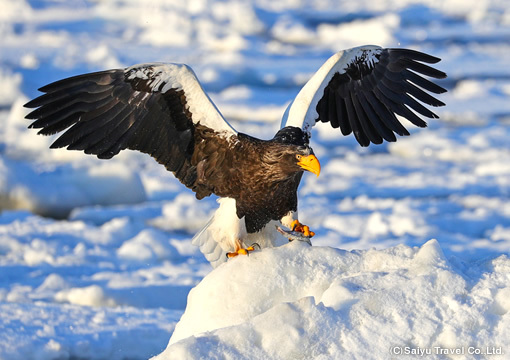 Photography of Red-Crowned Crane, Blakiston's Fish Owl,Steller's Sea Eagle, White-Tailed Eagle, Swan . Designed with minimum days with maximum opportunity of photography. 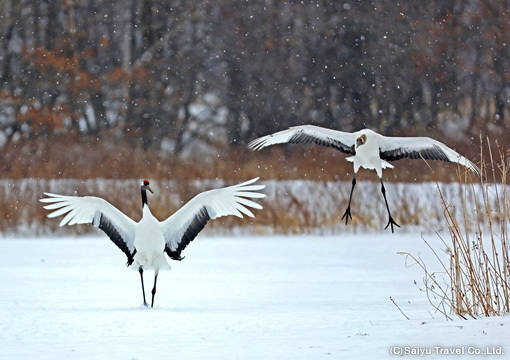 Photography of Japanese Red-Crowned Crane, Swans, Ducks, Ezo-Ural Owl, Steller's Sea Eagle, White-Tailed Eagle, Ezo Red Fox, Ezo Sika Deers, Ezo Red Fox, Blakiston's Fish Owl. Photography of Japanese Red-Crowned Crane, Swans, Ducks, Steller's Sea Eagle, White-Tailed Eagle, Ezo Red Fox, Ezo Sika Deers, Ezo Red Fox, Blakiston's Fish Owl. Chance to take pictures of Ezo-Ural Owl. Rich tour to go around 3 World Heritage sites in 3 night-4 days! The must-see sites are the Sigiriya Rock stands up in jungle and the “Sigiriya Lady”. This is a private tour to be conducted for one person and more. This is an ideal plan to “know Nepal” in 2 night 3 day stay. Tour the World Heritage Site Kathmandu valley thoroughly. In addition, enjoy the view of the Himalayas including Mt. Everest from the hill of Nagarkot. Savor the local cuisines, as well! This is an ideal plan to “know Nepal” in 2 night 3 day stay. Tour the World Heritage Site Kathmandu valley thoroughly. In addition, enjoy the view of the Himalayas from the hill of Nagarkot. Enjoy hiking to the World Heritage Site Chung Narayan. Visit the ancient cities in the World Heritage Site and view the Himalayas from the observatory place Pokhara make you enjoy Nepal in full! By option, the Everest Mountain Flight can be booked. “Saiyu Nepal Trekking & Expedition” responds to your orders in local. Visit the ancient cities in the World Heritage Site and view the Himalayas from the observatory place (hill of Pokhara) make you enjoy Nepal in full! By option, the Everest Mountain Flight can be booked. “Saiyu Nepal Trekking & Expedition” responds to your orders in local. Tour Paro and Thimphu in 4 days. Visit a sacred place of Tibetan Buddhism, the Taktshang Gompa . Enjoy the experiences of wearing the ethnic costume and taking a bath of Dhotso.